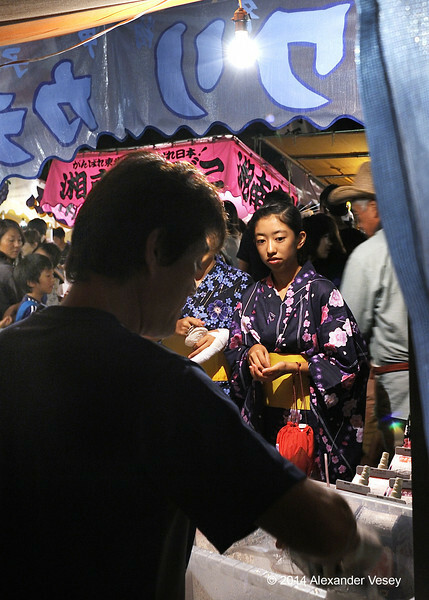 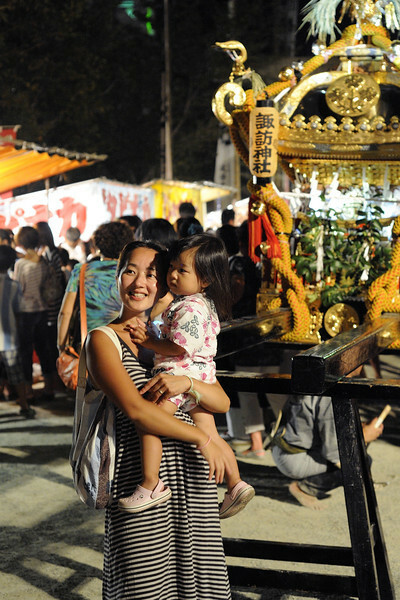 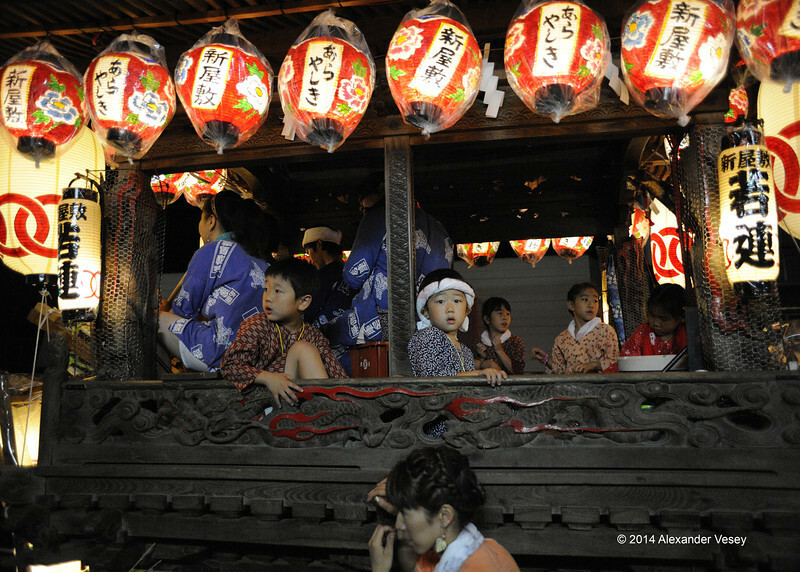 Every August, the Suwa Shrine 諏訪神社 in the Katase area of Fujisawa holds its annual festival. 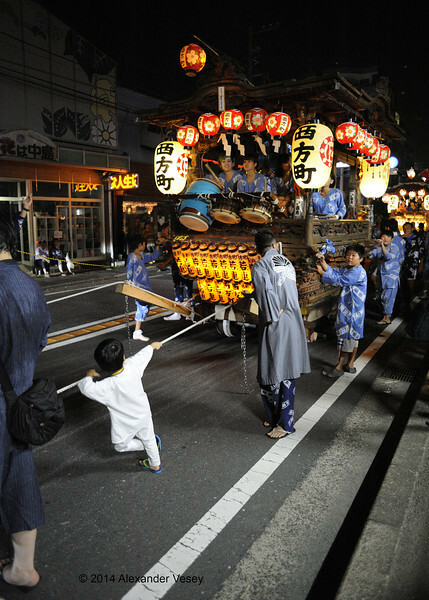 Nearby districts sponsor cars (dashi 山車) decorated with lanterns, while children and young adults play drums and flutes as they are pulled through their areas. 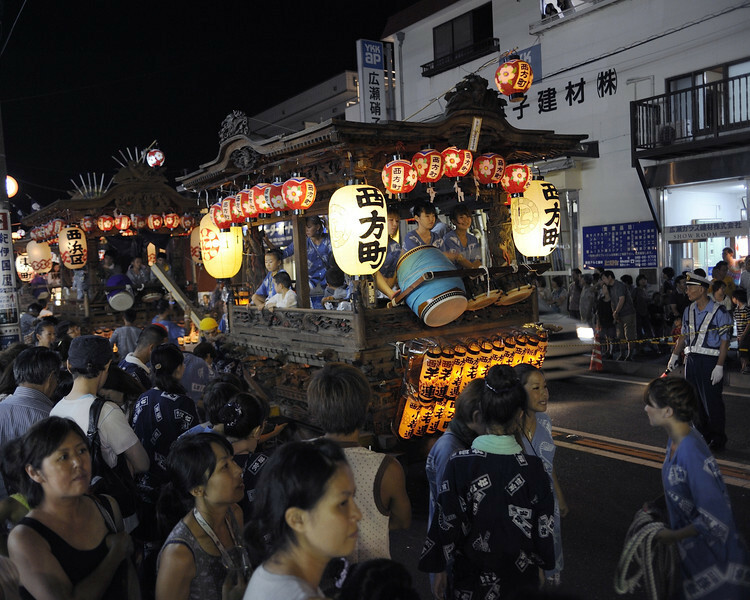 Finally all the cars gather in front of the shrine, and up seating areas of some are spun quite quickly. 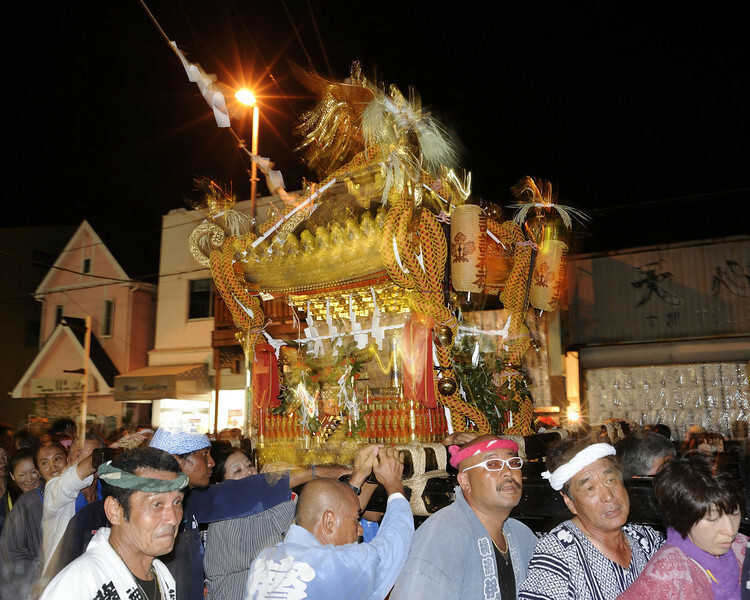 The center piece of the parade is the mikoshi (portable shrine 御輿) housing the spirit. 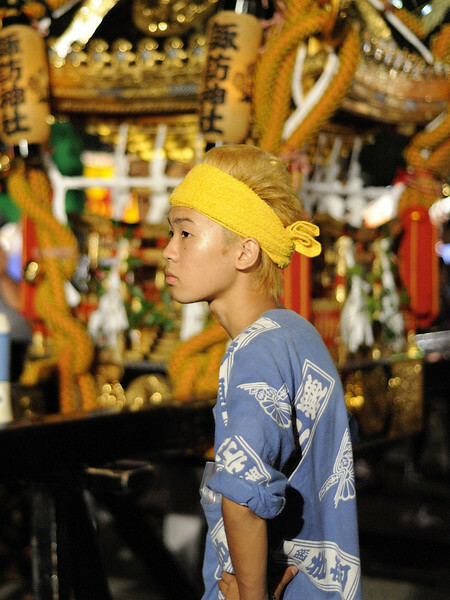 At the end of the procession, the mikoshi is returned to the Shrine precincts. 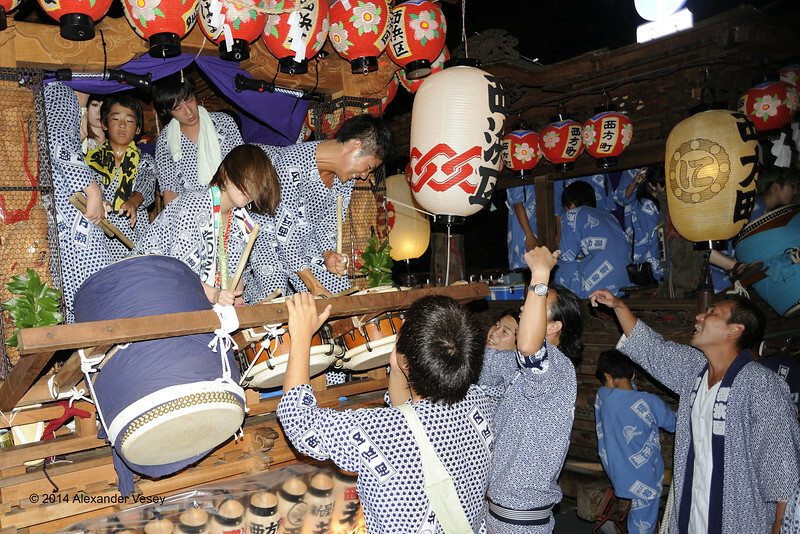 Upon removal of the lacquered carrying poles, it is set out for display. 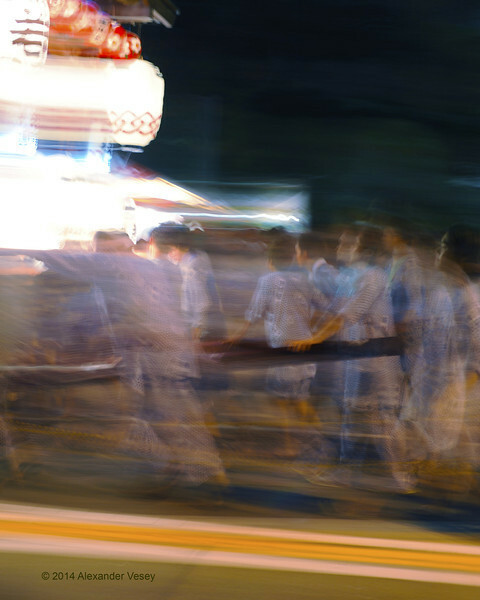 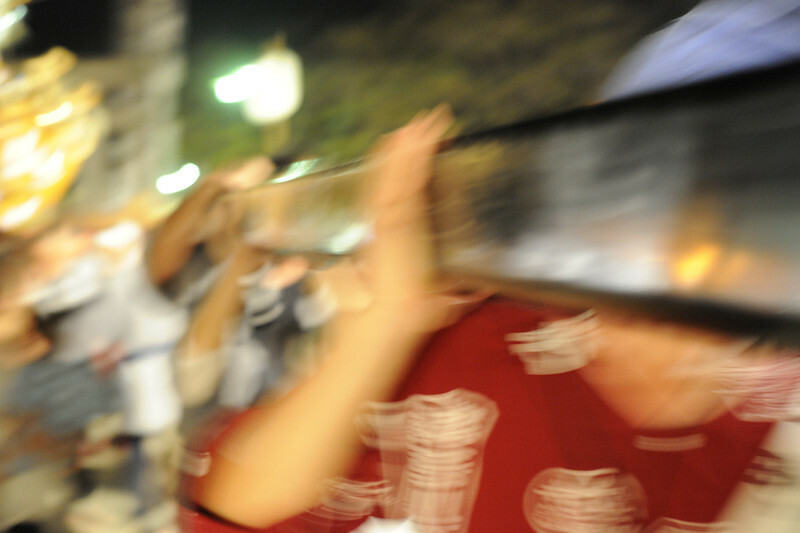 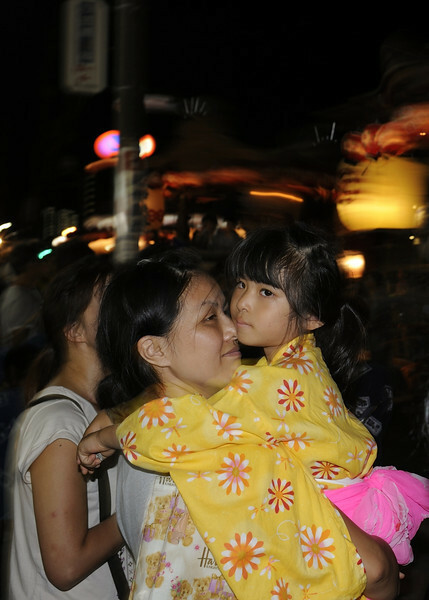 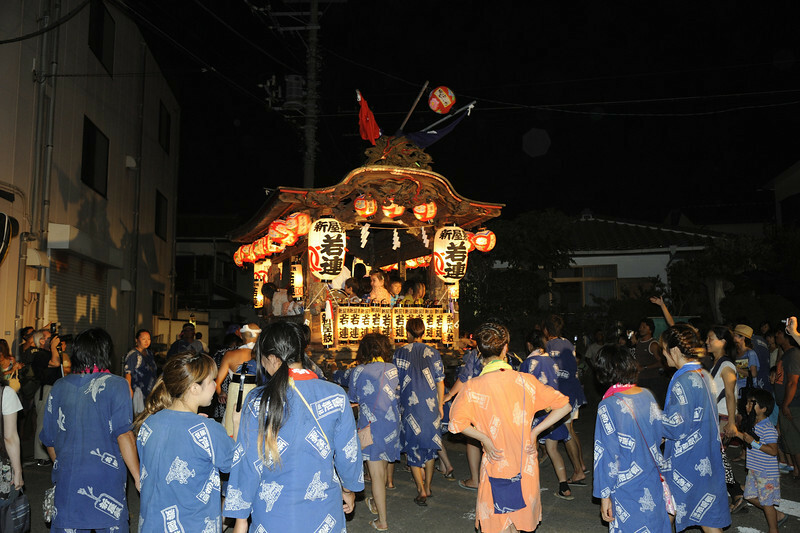 During the evening of the main day, lay members of the shrine community (ujiko 氏子) carry the mikoshi with the shrine's "kami" (spirit) through the neighbouring residential areas. 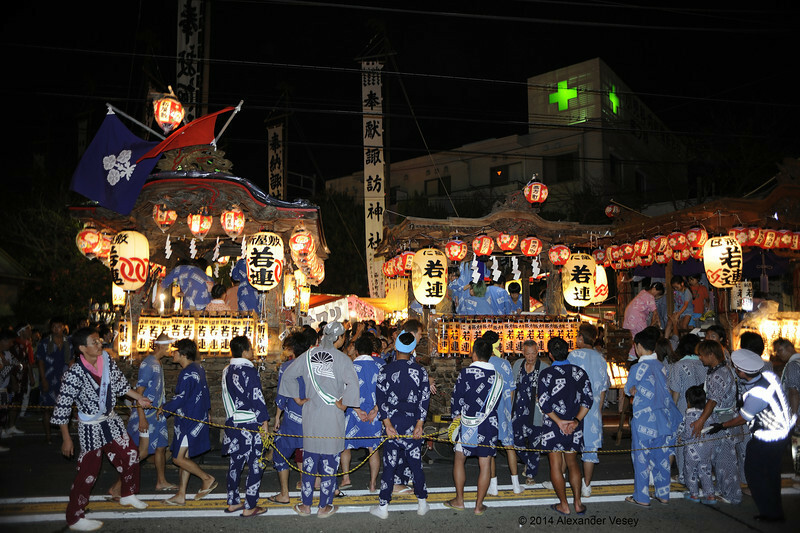 The mikoshi is followed by various dashi carrying drummers. 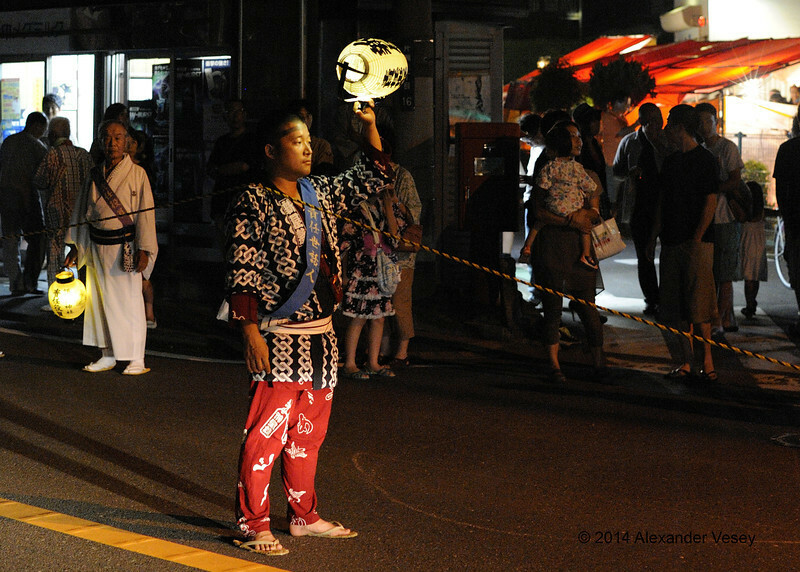 A private citizen and shrine member who is closing a lane for the procession. 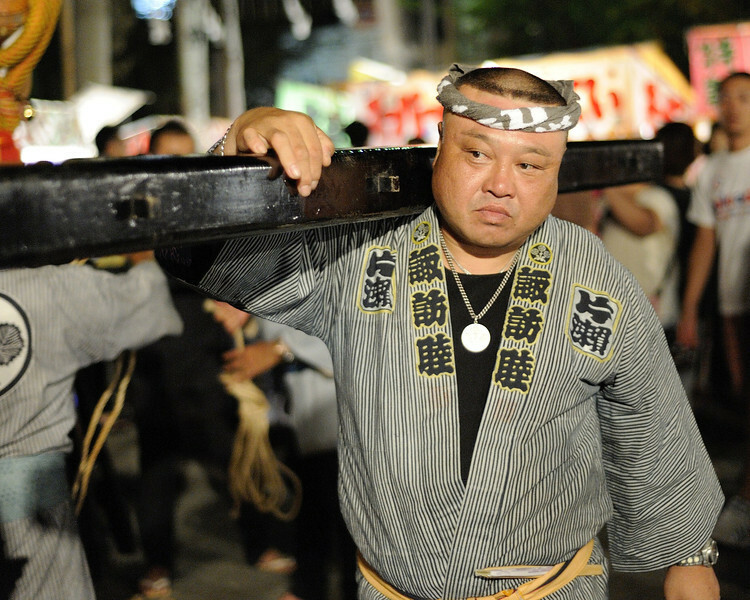 "Hyottoko" is a fictional character associated with making fire and brining good fortune. 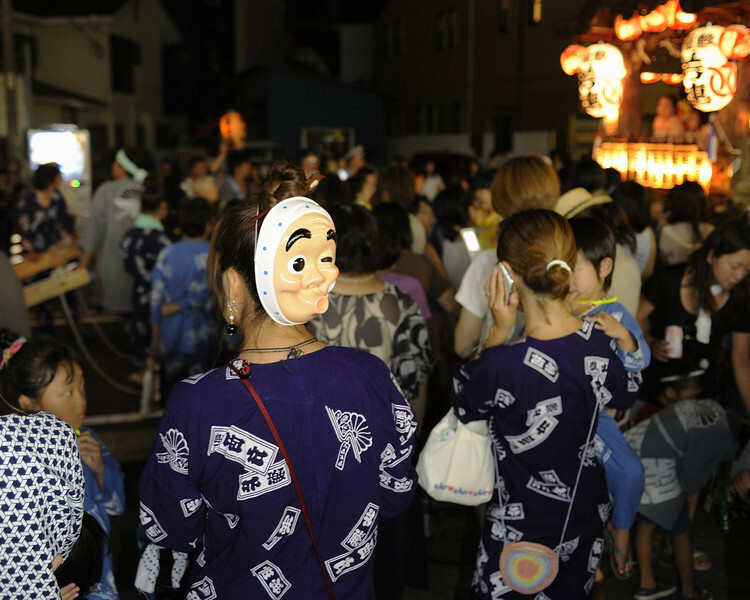 Here a female member of a dash crew wears his mask. 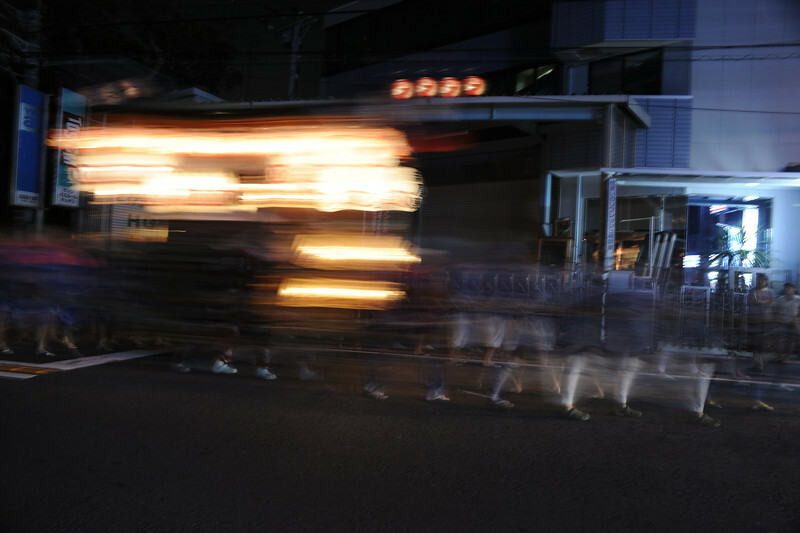 At the conclusion of the procession, the cars are lined up in front of the shrine's main gate. 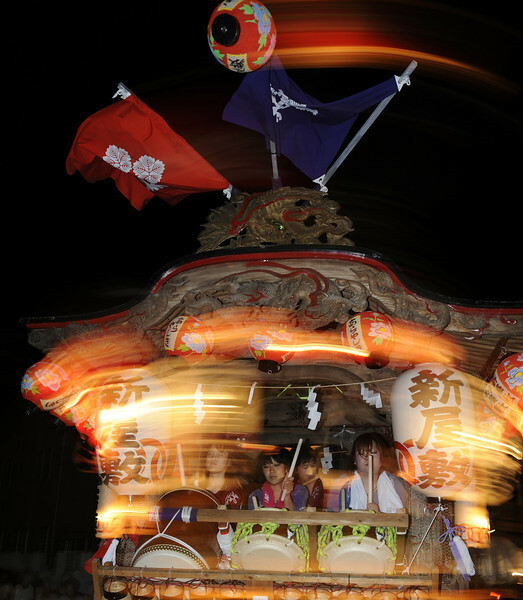 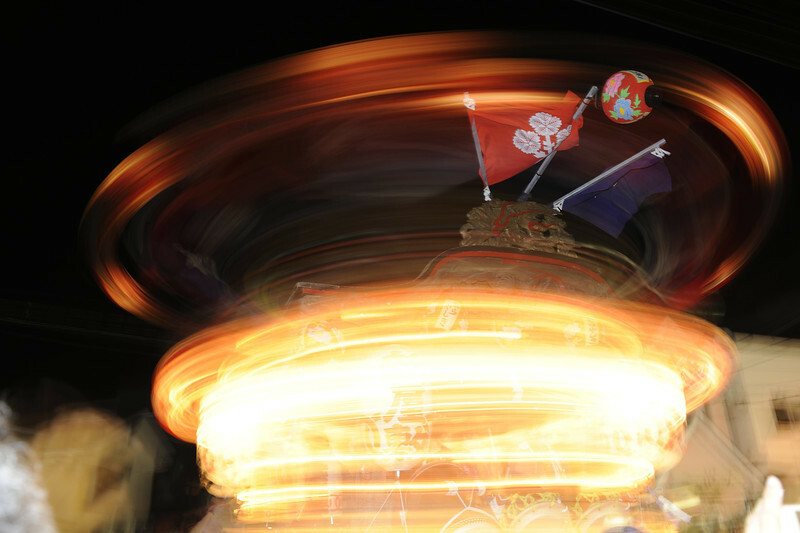 Once procession stops in front of the main shrine entrance, the crews of some dashi start spinning the upper body with the summers inside. 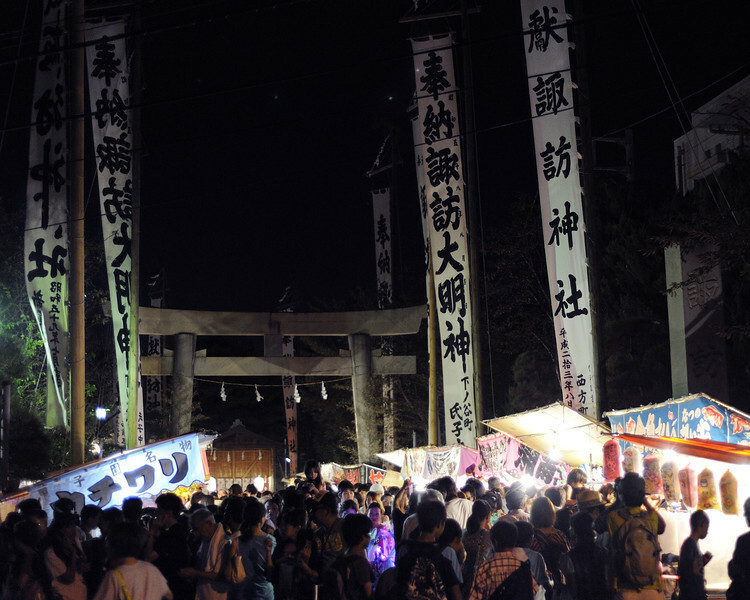 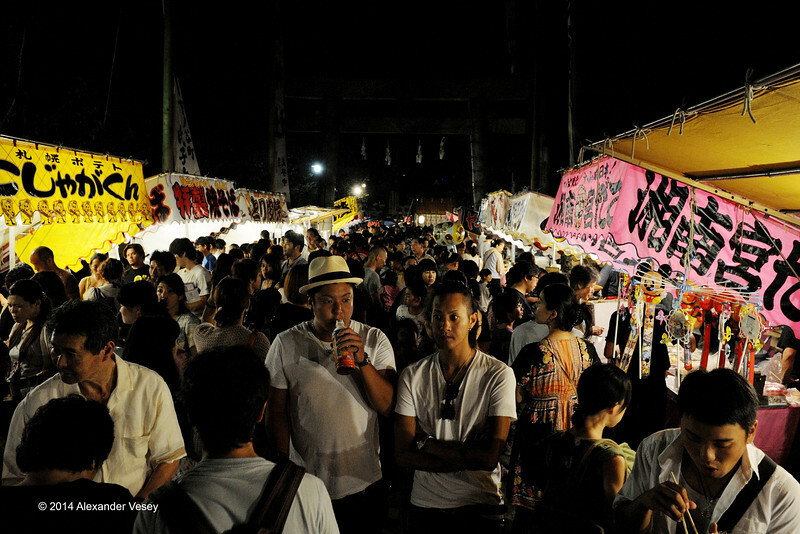 Normally quite shrine precincts fill up with food and game vendors for the duration of festivals. 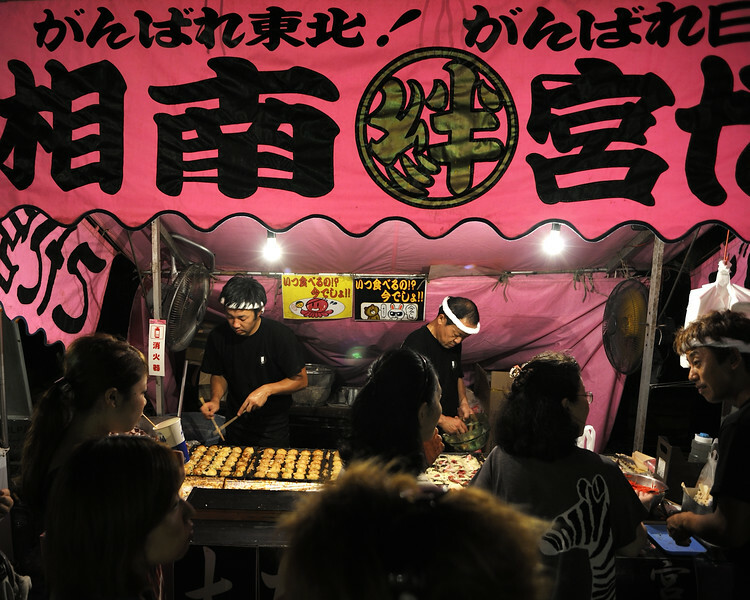 Takoyaki are a kind of dumpling with a octopus bits inside. 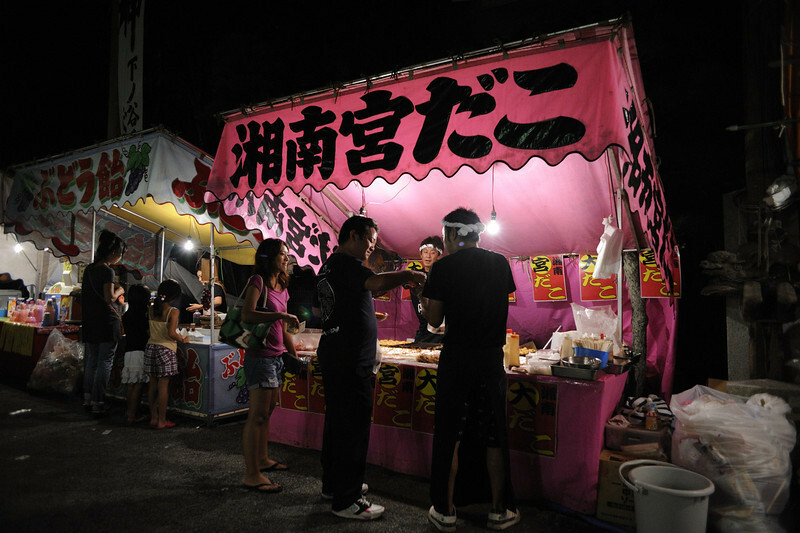 A common and popular summer attraction at festivals, visitors pay 100 yen for a paper covered scoop. 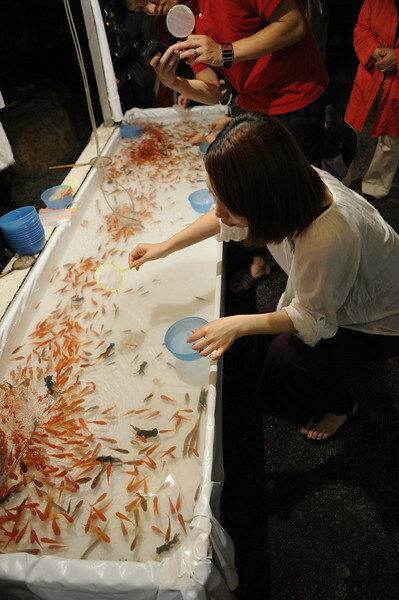 The goal is to get as many fish into the blue bowls before the paper rips. 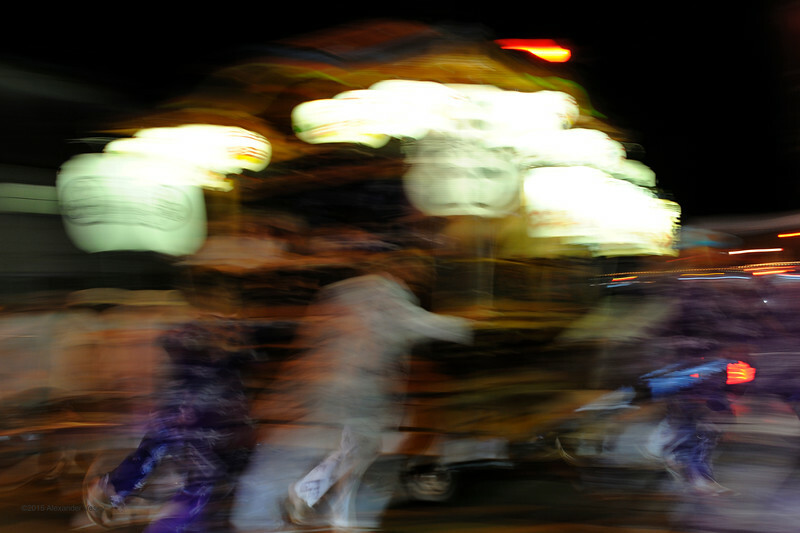 Sadly, the fish might make it home OK, but few last long afterwards. 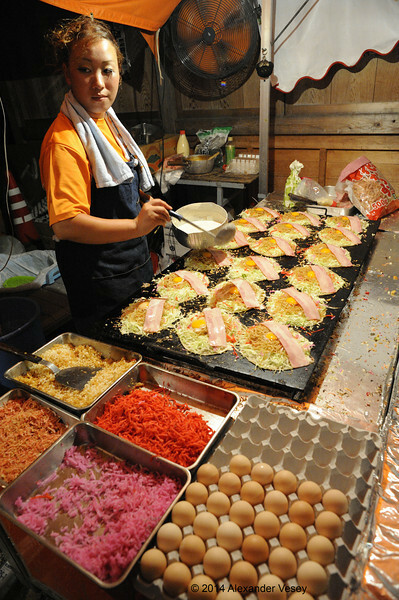 A pancake-like snack consisting of chopped cabbage, eggs, small shrimp, and bacon cooked in a batter on a hot-plate. 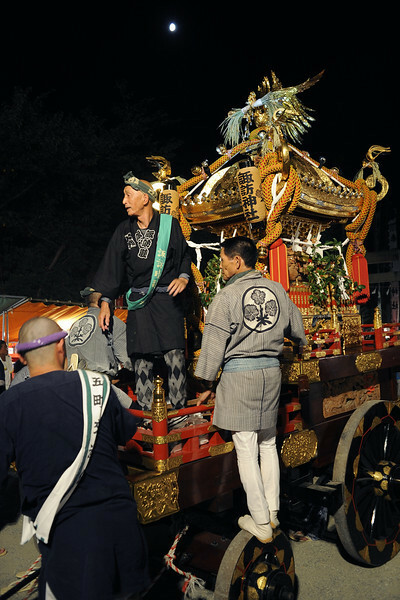 The mikoshi is set within the shrine following the procession, and the shrine's lay supporters place it on a cart that will be moved into a temporary building for display during the remainder of the festival. 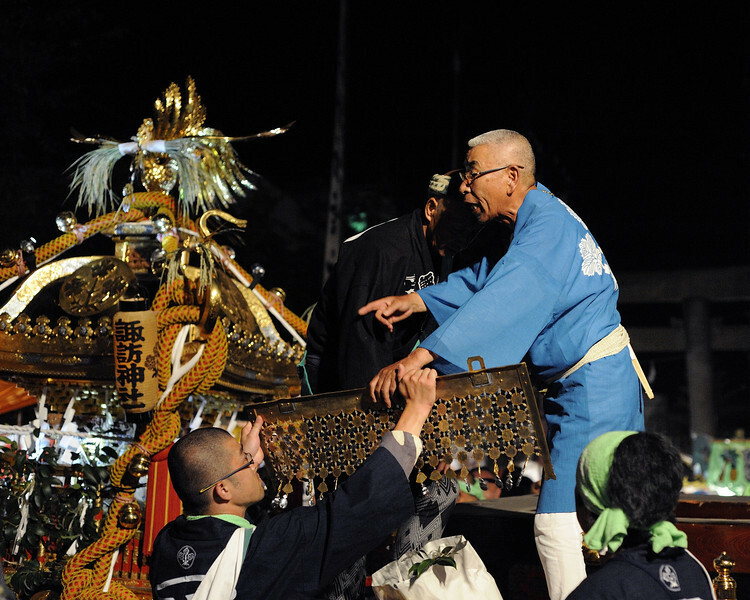 At the end of the festival, the crews return their dashi to storehouses for next year's festival. 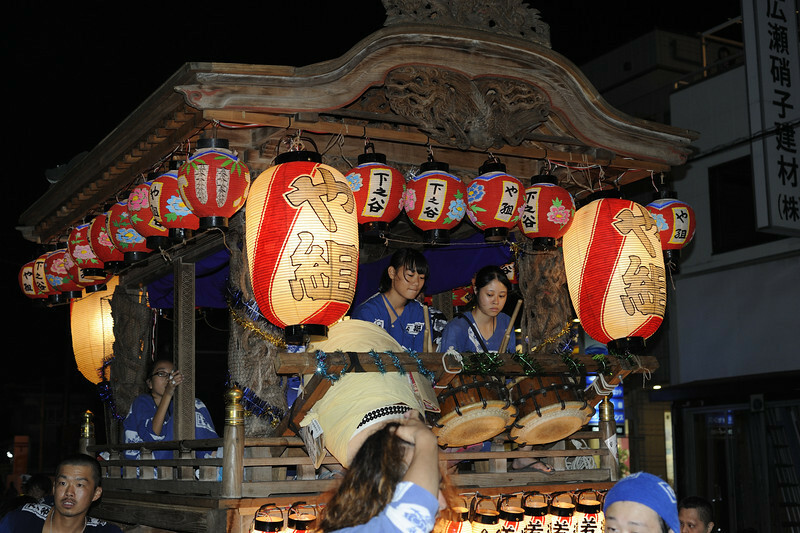 These processions are punctuated with continued drummer.